Pretty Pollyanna will bypass her intended seasonal bow in Tuesday’s Lanwades Stud Nell Gwyn Stakes as connections consider whether to take the Classic route or follow a sprinting path. Michael Bell’s charge was partnered by Frankie Dettori in a six-and-a-half-furlong gallop at Newmarket on Wednesday morning, with the trainer initially indicating last year’s Prix Morny winner would reappear at Headquarters next week. 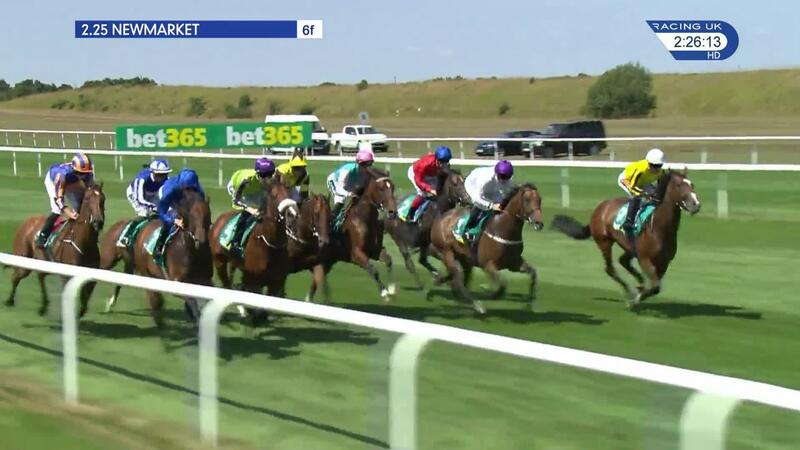 However, following discussions with owners Bill and Tim Gredley, Bell has confirmed Pretty Pollyanna will now sidestep that seven-furlong event – with a crack at the Qipco 1000 Guineas on May 5, for which she is a general 20-1, also far from certain. Bell said: “There has been a change of plan. We are not going to run in the Nell Gwyn and we are just going to give her a bit more time and just reflect on a few things. “We will either aim her at the Commonwealth Cup (over six furlongs at Royal Ascot) or we might just go straight to the Guineas. “I will talk to the Gredleys, and we will decide whether we run in the Guineas or focus on a sprinting campaign, but we are yet to have that discussion. Earlier, Bell had said the Nell Gwyn and 1000 Guineas were on her agenda with Dettori booked to ride. He said after the workout: “It was the first time Frankie had sat on her and he said she felt a little bit rusty, but that is normal for a horse that has had a winter holiday. We wanted to give her the gallop to blow the cobwebs away." Pretty Pollyanna was a wide-margin winner of the Duchess of Cambridge Stakes Stakes last summer when partnered by Silvestre de Sousa before following up in the Group One Prix Morny at Deauville under the same jockey. However, she then lost some of her lustre with successive defeats in the Cheveley Park Stakes and Fillies' Mile. She was partnered by De Sousa and Daniel Tudhope on those occasions. No dominant filly emerged last year and the bookmakers are going 10-1 the field for the Guineas. Dettori first rode in the race in 1991 and has achieved wins on Cape Verdi (1998), Kazzia (2002) and Blue Bunting (2011).